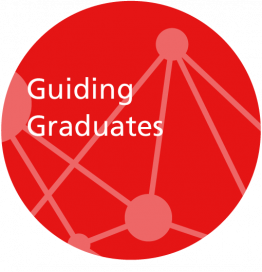 The Graduate School of Life Sciences (GSLS) at Utrecht University offers 14 multidisciplinary master’s programmes. In these programmes, students can make choices with respect to courses, research projects, and writing assignments. This freedom of choice offers students the opportunity to tailor their programme. However, arranging a coherent individual track within the abundance of options in such a multidisciplinary programme creates problems for students as well. The challenge faced by the GSLS was to provide academic guidance to this diverse group of students to help them compose an individual program and stimulate their sense of agency over their education and the integrative process. The new Master’s programme Crossover Creativity at the HKU University of the Arts Utrecht is for those students who create links between creativity, technology and entrepreneurship. These links are the ideal way to affect cultural, social and economic reform. From day one, the programme offers a flexible and dynamic curriculum, in which students collaborate with talented fellow students from a variety of disciplines and backgrounds.